Are you familiar with the photo above. It has been circulating in the web during the first few days of this month. 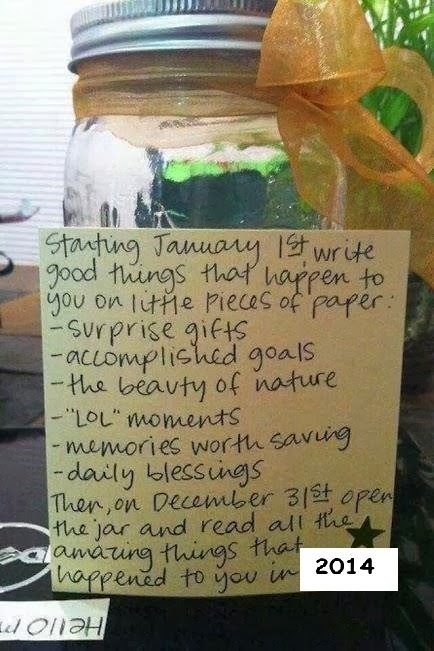 Thea and I made our own version of this jar and we call it Jar of Blessing and Accomplishments. We'll try our very best fill this up with all the amazing things that will happen in 2014 like surprise gifts, accomplishments no matter how big or small, beauty of nature, laugh out loud moments, and daily blessings. How about you, would you like to maintain a jar of blessings, too?